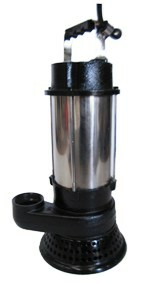 These larger volume pumps are ideal for higher head applications where the pumps above are not enough. Built heavy duty, these pumps push a lot of water and maintain good flow even at higher head pressure. These larger volume pumps are ideal for higher head applications where other pumps are just not enough. Built heavy duty, these pumps push a lot of water and maintain good flow even at higher head pressure. Compact design - high output in a small package. Continuous duty, air filled motors - designed for the demanding job of consistent operation in pond and waterfall applications. Motors have thermal overload protection as well as overheat protection with auto reset. Built from cast iron and stainless steel for maximum durability. Double mechanical seal ensures long term operation. Corrosion resistant stainless steel impeller (EP24000 has cast iron impeller). To View owners manual "CLICK HERE"